Hi guys, at last more and more youtubers are answering our calls ^_^ and we will have soon some new Let’sPlay video – we really love that. But last weeks also the press started to write news about us. Then EFFING DEAD was also on GAMESPARKED with some nice comments about the V-Blade: «Possibly my favourite part of what I played was the V-blade, a melee attack that absolutely destroys any dazed enemies ». Last but not least, from France the nice Skywilly wrote a preview on GAMESIDESTORY. 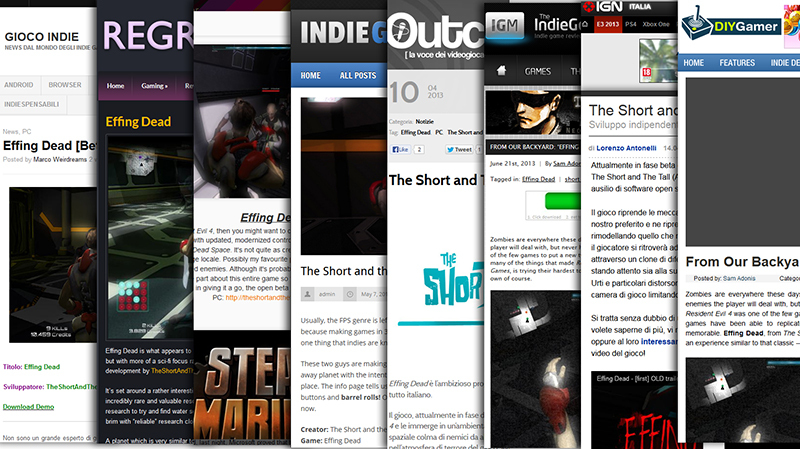 Categories: Effing Dead, Games, Press | Tags: effingdead, horror, news, press, survival | Permalink. Buy THE BODY CHANGER on STEAM!